Welcome to the Affiliate Center for eNasco.com. Here you can reference the program’s terms and stay up on important updates. 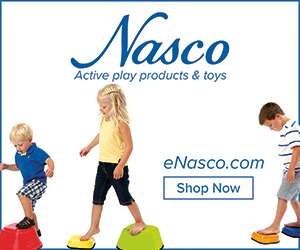 Nasco, founded in 1941 is a leading merchant, direct marketer and manufacturer of educational, health, medical technology, quality control and agricultural/farm supplies. The company offers over 100,000 items. Products include educational materials and supplies for substantially all K-12 curricula, plus items for the farm, healthcare, senior care and food industries. This includes supporting math, science, physical education, family and consumer science, early learning, elementary, arts and special education classrooms. Also K-12, college and adult level arts and crafts supplies are a major part of the Nasco educational offering. Nasco originated as a provider for vocational agriculture and continues to supply such classrooms today. Such support expanded into to all areas of agriculture including the world’s largest selection of livestock supplies. Senior activities supplies enhance the care of Seniors, while nutrition education supplies and our first-of-their-kind lab sampling bags and supplies serve the food and testing industries. In addition, the Company offers medical simulators and manikins used for training in CPR, fire and emergency rescue and patient care fields. 1. World’s largest selection of livestock supplies. 2. One stop shop for a variety of learning and teaching scenarios. 3. Our mission is to provide customers with the best in quality, personal service and affordably priced products.